Welcome to the new forums! There's quite a bit of changes that had to happen in order to facilitate this move so please read everything to hopefully answer any questions you may have. Email/Password Login: Your password did not carry over from the old forums and must be reset by going here: https://forums.dungeondefenders.com/lostpassword/ . Make sure to check your email junk/spam folders in case the reset email goes there. Steam Login: You must login with email first and re-link your Steam account to your forum account. Since the new forum had to re-index everything during the migration, post count numbers will be to what posts you do have and not include any deleted posts, non-copied over old forum posts, or forum restore numbers. Threads with pages that show "There are no posts to show"
Older threads that had deleted/bad spam bot posts in them were cleaned up which may cause the error message above. Once new posts are added or you go to an earlier page instead of last post should work fine. New forum posts started on the new forums will not have this issue. 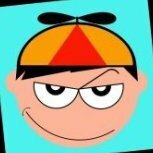 You can report new forum issues here: Forum Bug Reports. We're working on bringing back some custom groups and post count promotion fully. Right now after you make a post you should see yourself get the correct rank updated on your account. Does this include Defense Council ranks? I think it did. go to profile look at the left rank and you will see it there. Why can’t I play Dungeon defenders on my big iPad ? That would be so wonderful that I would be able to take my game anywhere I go . thanks for sharing this with us. If you are looking for some technical assistance for your electronic gadgets then you can contact Geek Squad Support for help. They have experts who can solve your issues easily and provide you the best solution for your problems. Thanks for the information. 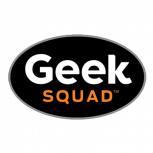 To get the best tech help you can contact Geek squad support team for help. HP Printer Support is active helpline, available round the clock to resolve Hp printer problems. Canon Printer Support is a team of experts who takes care of your canon device issue. Brother Printer Support is a team of well experienced experts available round the clock to resolve your printer problems. Epson Printer Support is available round the clock to resolve your printer problems. Dell Printer Support is a team of well experienced experts who takes care of your dell device problems. Did anyone have a problem of disappearing equipment even though is locked? ?